The Draper 60 x 80" Cineperm Fixed Frame Projection Screen can turn your home or office into a semi-theater with its sleek, contemporary appearance. The thin black frame holds the tightly stretched fabric perfectly flat yielding a wonderfully flat image. 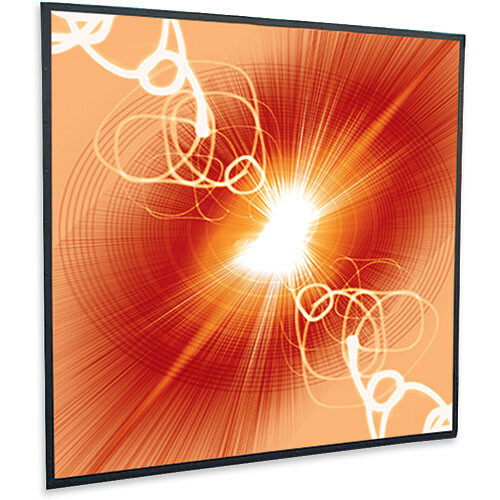 The tubular aluminum frame snaps together quickly and can be either wall or ceiling mounted. In addition, it can be suspended from the ceiling giving a "flying" appearance. Box Dimensions (LxWxH) 96.0 x 9.0 x 9.0"